I haven't had many FO posts lately because I'm working on a big sweater project, but I did a video this week on the contiguous sleeve, which is an alternative option to the traditional raglan or seamed sleeve. Contiguous sleeves are seamless, but look seamed. I love them! 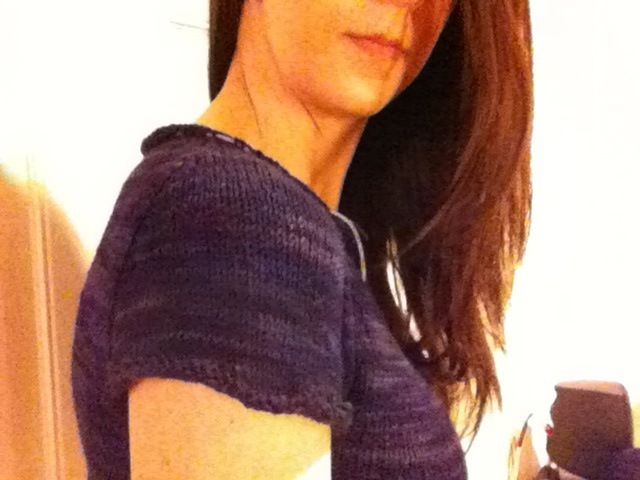 Rav member SusieM invented the method, and there's a group on Ravelry with more information on how to complete the sleeve. The bottom of the sweater is still above my natural waistline, so I have quite a way to go before I can start on the dreaded sleeves and hood. I hate doing sleeves! I actually have a sweater that is all but done, thanks to the sleeves.